By Isaac Brekken for The New York Times at nytimes.com. Start with the invention of the wheel and it is not long until you have a road. There is evidence of roads as early as 6100 BC in Mesopotamia, but Romans may have been the greatest road builders with 29 major military highways radiating from the ancient empire’s hub. Have roads changed much since? 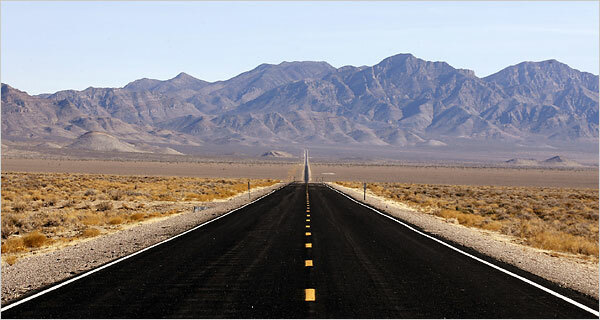 In present times, two million miles (3,218,000 kilometers) of roads stretch across the American landscape. China’s highways alone could circle the earth – twice. Roads have made possible the innovation of the automobile, the gated communities in suburbs, and the drive-through windows for banking and burgers. Roads bring “there” into the circle of “here.” But is it time for a new definition of roads?